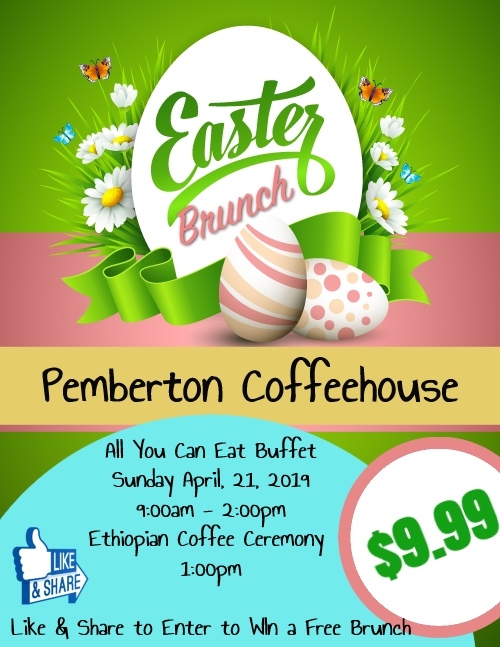 Celebrate Easter with a Beautiful All You Can Eat Brunch Buffet at Pemberton Coffeehouse. Enjoy a cozy Brunch by the fireplace or sit out on the deck. Chicken, Waffles, Eggs, Bacon, Sausage, Buttermilk Biscuits, French Toast, Quiche and More! 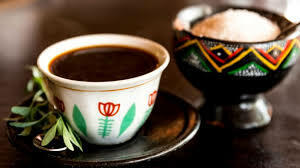 Also enjoy our weekly Ethiopian Coffee Ceremony at 1:00pm for an experience to remember! Like and Share the Event Flyer on Facebook to enter to win a free Easter Brunch!